Lee Ji-Eun (Hangul: 이지은), commonly known by the stage name of IU (아이유) is a South Korean singer. IU did a duet with 2AM's Seulong for this song "잔소리" (Nagging / Scolded). This song is also referred to as "우리 사랑하게 됐어요 2" (We Fell In Love 2). The song was created for the show - We Got Married. IU won her first award since debuting on SBS Inkigayo for "Nagging." On July 2, 2010, she won another award for this song on KBS Music Bank K-Chart. Let's listen to their duet? Don't miss out her MarshMallow MV too. Thanks to RedButtockz I got the english Sub version of "It's You"
Just recently, IU was awarded the New Generation Singer Award for the 17th Korean Entertainment Arts Awards ceremony that was held on October 23rd at the Sungnam Art Center opera house . Congratulation to her achievement and hope she is doing better day by day. Do remember that she is only 17 years old this year~! I still like the acoustic version of IU's song, softer and more relaxing to listen with. 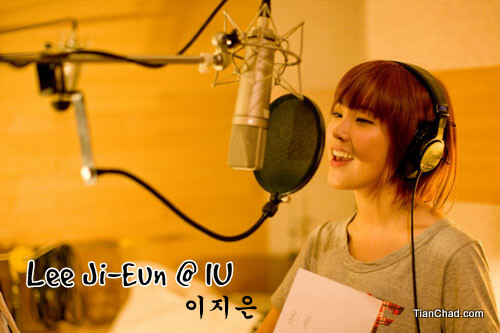 wow another nice vocal and she duet with seulong~~ woohoo!! Yeah, glad you like it~!